Biometrics are an effective means of regulating who has access to an area within in a secure building. Find out more of the benefits! There are different kinds of biometrics to look for depending upon the application. Some choose to use better sensors that are pretty pinpoint accurate when it comes to the characteristics to check for, such as retinal scans or hand geometry. Or, if you’re not as concerned about that, you can use a system that checks for characteristics that are less discriminative like fingerprint ID in conjunction with ID. For a more secure area, you’re likely to need a more reliable biometric system, which is made possible by the variety of systems out there these days. With a biometric system, you don’t need to worry about passwords, carrying your ID on you, or keeping a scannable badge accessible. Instead, you rely on something you always have on you: your body. This makes it easy to manage the system and not have to worry about lost information, which ends up cutting down operational costs in the long run. As far as identity authentication goes, biometrics are just about instant. If you’re someone concerned about time management and getting the most out of any tools you implement, this is a pretty big deal. You won’t ever have to worry about employees being held up because someone forgot their ID card. Something like a password or a keycard can end up in the wrong hands. With biometrics, it’s much more difficult for that sensitive security information to end up somewhere it shouldn’t be. What you’re using for authentication purposes is a fingerprint, iris, or facial scan, something that just isn’t easily replicable. 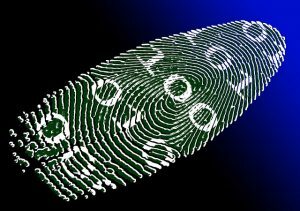 Biometrics can create a database of what users accessed the system and when. This is essential when trying to establish an audit trail, in the event that something was stolen or some kind of emergency were to happen. When it comes to security breaches, it’s critical that you can hold the right people accountable. This entry was posted on Friday, November 16th, 2018	at 1:25 pm	. You can follow any responses to this entry through the RSS 2.0 feed. Both comments and pings are currently closed.